If December, then Christmas. It’s not a Japanese event, so there is no fixed way of wearing kimonos for Christmas. For a Christmas party with friends, enjoy your kimono as you see fit. For a Christmas dinner in a restaurant, just in case, wearing it according to traditional rules would be more adequate. Fine patterns or raw silk, even though they’re good, are not fit for weddings etc., so this is a chance to wear those. 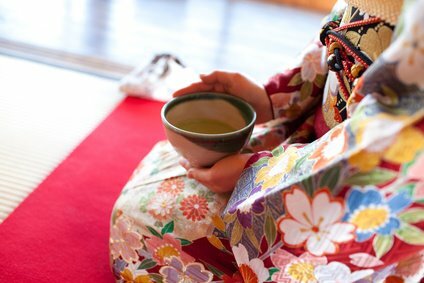 While eating, the problem of how to eat, not to stain your kimono, appears. Some people fix a napkin at their breast, but if you’re not used to it, it might be hard. Putting it into the part above the obi belt should be easy. If you have a small clip used in fitting into a kimono (something like a clothespin), you can stop the parts easy to fasten, making it hard to fall off and convenient. People fastening their Christmas-patterned obi in December, give off an impression of being used to it. Since the time when you can wear it is rather long, there are ones with the snow motive.